Before Federer v. Nadal, before Borg v. McEnroe, the greatest tennis match ever played pitted the dominant Don Budge against the seductively handsome Baron Gottfried von Cramm. This deciding 1937 Davis Cup match, played on the hallowed Wimbledon grounds, was a battle of titans: the world’s No. 1 tennis player against the No. 2; America against Germany; democracy against fascism. For five superhuman sets, the duo’s brilliant shotmaking kept the Centre Court crowd—and the world—spellbound. But the match’s significance extended well beyond the immaculate grass courts of Wimbledon. Against the backdrop of the Great Depression and the brink of World War II, one man played for the pride of his country while the other played for his life. 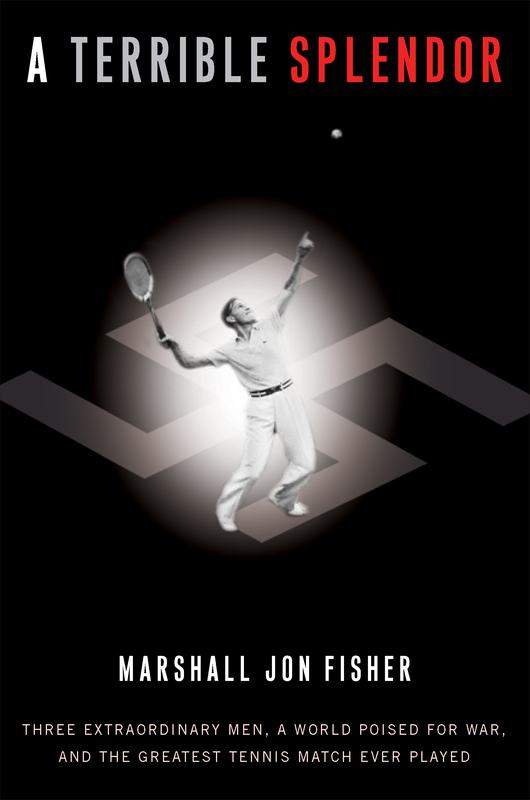 Budge, the humble hard-working American who would soon become the first man to win the Grand Slam—all four major titles in the same year—vied to keep the Davis Cup out of the hands of the Nazi regime. On the other side of the net, the immensely popular and elegant von Cramm fought Budge point for point knowing that a loss might precipitate his descent into the living hell being constructed behind barbed wire back home. Watching the mesmerizingly intense match from the stands was von Cramm’s mentor and tennis’s all-time superstar Bill Tilden—a consummate showman whose double life would run in ironic counterpoint to that of his German protege. Also in the grandstand were a panoply of personalities who form a fascinating supporting cast for the drama on court. Movie stars, famous journalists, a Nobel-Prize-winning statesman, and one of America’s greatest humorists all make prominent appearances. The Great Depression, the rise of Nazi Germany, anti-Semitism and homophobia both there and also in England and the U.S., and the Holocaust are all important themes in this story. A Terrible Splendor was the winner of the inaugural (2010) PEN/ESPN Award for Literary Sports Writing.